Get a Free Air Conditioning Quote. 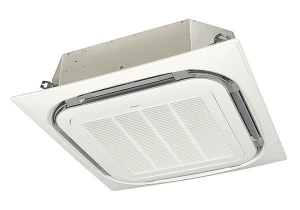 Renergy offers a range of air conditioning systems in Malta, starting from the small scale domestic units up to large scale industrial and commercial systems. Working with leading international brands including Midea and Daikin, we offer top quality systems to ensure that a comfortable environment can be maintained. Wall mounted units are the ideal solution both for new homes as well as when refurbishing existing rooms. The indoor units are extremely silent making them the ideal choice for your bedroom, living room or kitchen. These wall mounted heat pumps provide both heating and cooling meaning that they can create a comfortable environment all year round. 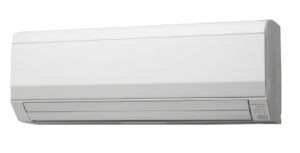 Innovative inverter technology has made domestic air conditioning systems even more energy efficient. The inverter adjusts the power that drives the main compressor to suit the actual heating/cooling requirements. A range of products designed for commercial applications can be used for large establishments like restaurants, shops, banks, hotels, public buildings, etc. High energy efficiency systems with a high Seasonal Energy Efficiency Ratio ensure that a comfortable environment is maintained at a low operating cost. Various types of indoor units can be used including wall mounted, cassette, floor standing, ceiling and concealed units to satisfy various design needs. These systems can be integrated with ventilation systems, air curtains and even a building management system to increase comfort and reduce energy costs.